1. 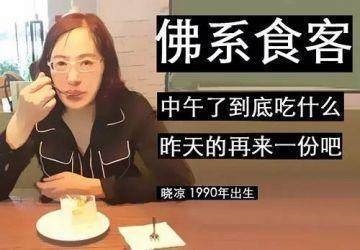 The term "Fó xì 佛系" was coined by a Japanese magazine* in 2014, introducing a new type of male human beings who give up mating and feeding themselves well, and struggling for better jobs and better lives, because they don't want to bother. 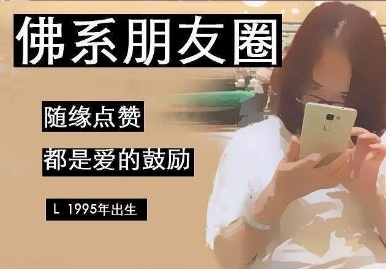 However, "佛系" became especially popular in China after Dec. 2017, when a myriad of articles joking about lazy Chinese "young men, in particular, those born after 1990s" went viral on "Chinese Facebook" (WeChat). I guess the Buddhist instructions about disenchantment with competition, and the characterization of monks and nuns in Chinese soap operas may also have contributed to the image of Buddhists in China. At least, the typical image of a Buddhist for me is my childhood neighbor who kept buying all kinds of devotional products such as strange sculptures, and was always satisfied even if her son failed in exams. 2. Phrases that share similar meanings as Fó xì 佛系 appeared in 2018, at the end of which "佛系" was selected as one of the ten hottest online words. “Dī yùwàng 低欲望“ ("low desire / expectation") was perhaps one option conveying a similar sentiment. 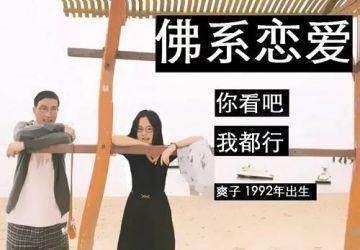 Japanese writer Kenichi Ohmae wrote Low Desire Society, which was translated into Chinese in 2016. This book centers on Japanese young men who give up ambition in order to live unstressful lives. Ohmae worried that that the younger generation may be clouded with passivism. Success is redefined in that book, regarding people's low desire for goods, money, and other comforts of life. 3. In terms of how to render Fó xì 佛系 in English, I agree with you that "whate-e-ever" may be a great translation, even without the original meaning of "佛" ("Buddha")! I believe "佛" here is misused, and if it is word-for-word reflected in the English translation, English speakers may be confused by it. Perhaps, "low-desire" can be another choice? Here the usage of Fó 佛 implies a long-term misunderstanding of this character among the Chinese general public. When it comes to Fó 佛, the general public may think of such basic Buddhist concepts as suíyuán 随缘 ("let it be; accept / go along with karma / fate; let things take their own course"), sìdàjiēkōng 四大皆空 ("all the four elements [earth, water, fire and air of which the world is made] are void / empty"), and kànpò hóngchén 看破红尘 ("see through the mundane world; be disillusioned with the vanity of life"). Thus, based on these stereotypes, 佛系 indicates a kind of "whatever" lifestyle. 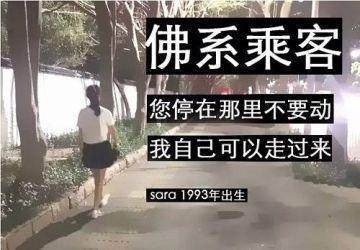 This term (Fó xì 佛系) became popular in 2018, and I think it is a response to the pressure from society. When people have no way to solve the difficulties they face, they will do nothing. This is what they call "Fóxì shēnghuó 佛系生活" ("whatever life"). Now, Fó 佛 ("Buddha" –> "whatever") has even become a verb. Thus we have "Fó le 佛了” ("it has become Buddha", i.e., "it has become 'whatever'"), which means roughly "suíbiàn le, bù nòng le 随便了，不弄了" ("As you wish; I'm not gonna bother"). Here are some biǎoqíng bāo 表情包 (lit., "expression packages"; "image macros; emoticons") conveying a "Fó xì 佛系" attitude toward one's circle of friends, exercise, love, being a passenger, and eating. Note that they were all created by people born in the 90s. I also think that many people over-interpret this term and mistakenly believe that "Fóxì shēnghuó 佛系生活 ("whatever life") is too negative. My impression is that most of the 90's youth use this term just for fun. Best I can tell, the going theory in Japan is that 佛系 is indeed a borrowing from Japan. 仏男子 (a portmanteau read ブッダンシ buddanshi) is sometimes described as the "evolution of the herbivorous male." The characteristics of this type are similar to but distinct from the probably better-known herbivorous male (草食(系)男子 sōshoku[kei] danshi), especially when it comes to love. Both types are basically stereotyped as passive and unmotivated with regard to work, interpersonal relations both private and public, and the acquisition of money and possessions. They are much more interested in hobbies, spending time alone, freedom, etc. If I remember correctly, when sociologist Fukasawa Maki (深澤真紀) coined the term "herbivorous male" and its counterpart, 肉食(系)女子 (nikushoku[kei] joshi) ("carnivorous female") — women who aggressively pursue career, love, and things), she intended this as a relatively positive — or at least not negative) observation of changing gender roles and socioeconomics in contemporary, post-bubble, post-growth Japan. Of course, "Get off my lawn!" conservative pundits have been having a field day with "the youth these days" and how they're ruining everything. Anyway, the apparent distinction is between insecure herbivores who would actually like love (if it were to come their way without too much effort) and Buddhistic Boys who are above such earthly, carnal pursuits to begin with. "Herbivorous male" reminds me of what Mrs. Campbell is supposed to have said to George Bernard Shaw: "Someday you'll eat a pork chop, Joey, and then God help all women!" Shaw wasn't uninterested in worldly success, though. In deference to "meat monks" (among others 水浒传肉和尚鲁智深）as well as to the Buddha's noble (Chinese) character, perhaps the reliably herbivorous (and reproductively lackadaisical) panda would be a better choice for the current Chinese and Japanese usages. 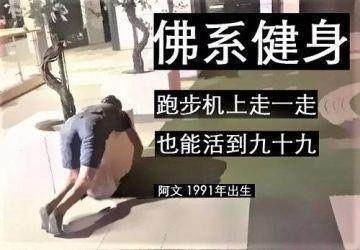 Thus 熊猫男子 and パンダ男子. But LL might advise that habits once formed don't easily change . . . what-e-e-ver.